For a teen moving from Las Vegas, rural Pahrump can be quite a culture shock. 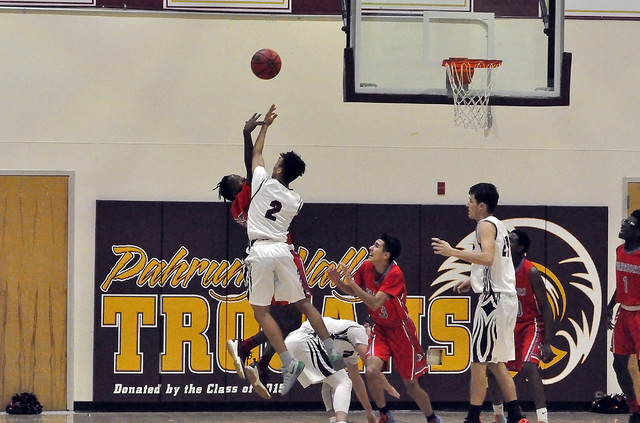 Horace Langford Jr. / Pahrump Valley Times - Antonio Fortin is playing his first year as a Trojans, averaging 15 points a game with a high of 32 points. He has been a much needed boost to the Trojans offense. 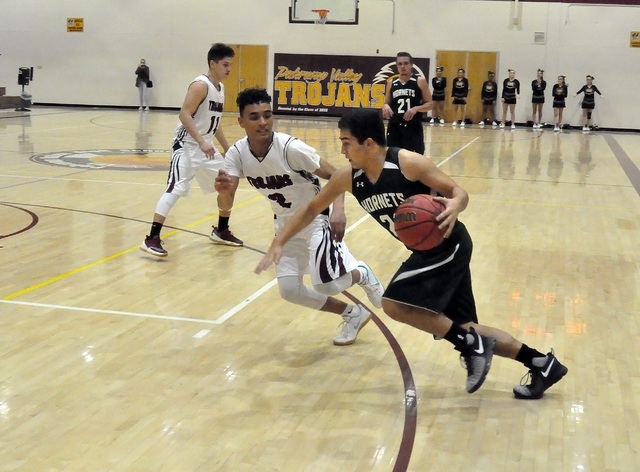 Horace Langford Jr. / Pahrump Valley Times Antonio Fortin in action against Beatty on Jan. 17. Horace Langford Jr. / Pahrump Valley Times Antonio Fortin is seen against Western. He played a big role in helping the Trojans beat Western on Tuesday night by posting 14 points. For transfer student Antonio Fortin, that was his reality last year. Fortin is a transfer basketball player from Arbor View High School, which is one of the top academic and athletic schools in Las Vegas. As a sophomore, he had to sit out a year to comply with Nevada Interscholastic Activities Association rules so this is his first year playing for the Trojans as a junior. Fortin has given his team an offensive shot in the arm. He currently averages 15 points per game with a career high this year of 32 points, which he said he shot in the Hawthorne tourney in December. As a freshman, Fortin made the junior varsity squad at his old school. He said he has been playing basketball since he was five-years-old and that basketball was his life. When he was nine or 10, he started playing his first competition basketball. “I started playing club ball in middle school and now have been on the same club team for the past five years,” he said. 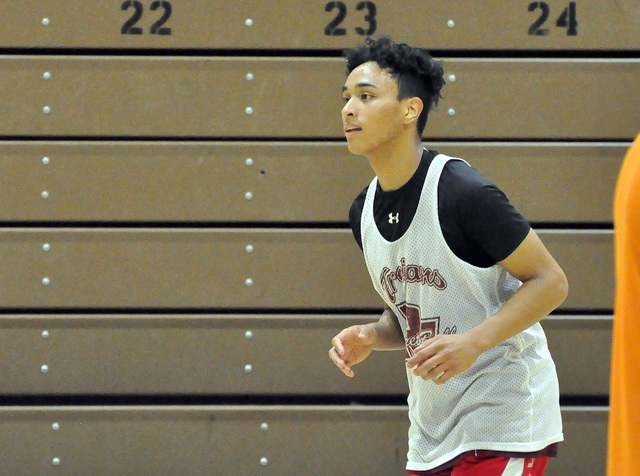 For Fortin there is no break from basketball, it is something he plays all year long and he said because he is home schooled it allows him to spend more time in Las Vegas playing ball. He said when he plays the game it is nothing but fun. He says the last couple of years have been good for him. Fortin prides himself in being a ball handler. His team attitude comes through in the games. During the Western game, he drove the ball down in the fourth quarter and there were only two defenders ahead of him and one other teammate, Cory Bergan, who was down the court from him. Fortin could have kept the ball himself and easily gone in for the layup, but instead passed the ball to Bergan, who made the layup. His coach, John Toomer, likes the way Fortin adds to the team.